E owns four different toy dolls and she adores them but they get played with a lot by C too. It's really cute watching him play and look after them. I know he'll make a brilliant daddy in years to come! For now, he was so excited to receive his own boy doll to play with. All of E's dolls have pink clothing and accessories so he was happy to see some blue! 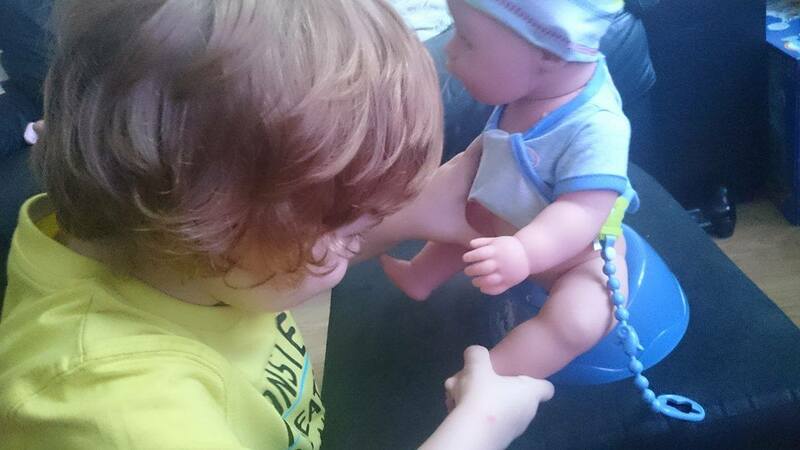 The other dolls we own either came with no accessories or a just little fake bottle so C was really excited to properly look after his baby. We filled the bottle up with water, he placed it in his mouth and squeezed gently. 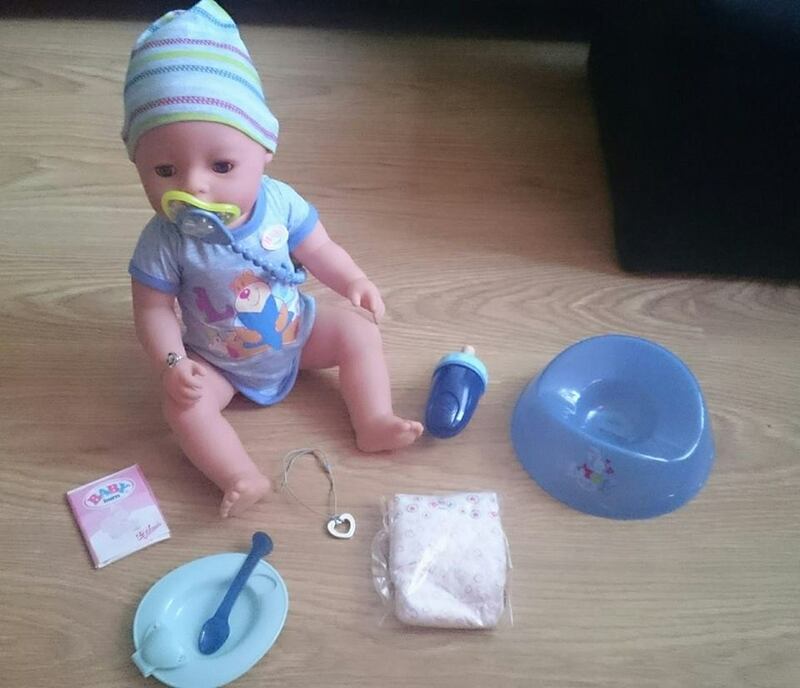 You need to keep the baby upright whilst feeding or he will soil his nappy immediately. 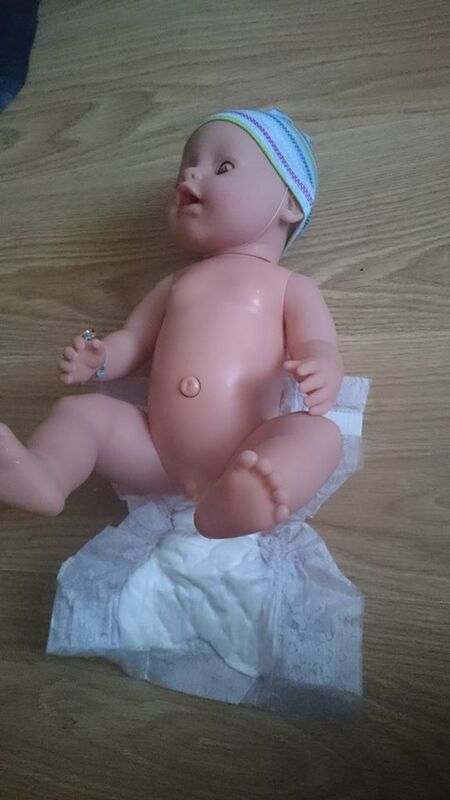 You can make the baby go for a wee in its nappy by lying him down. 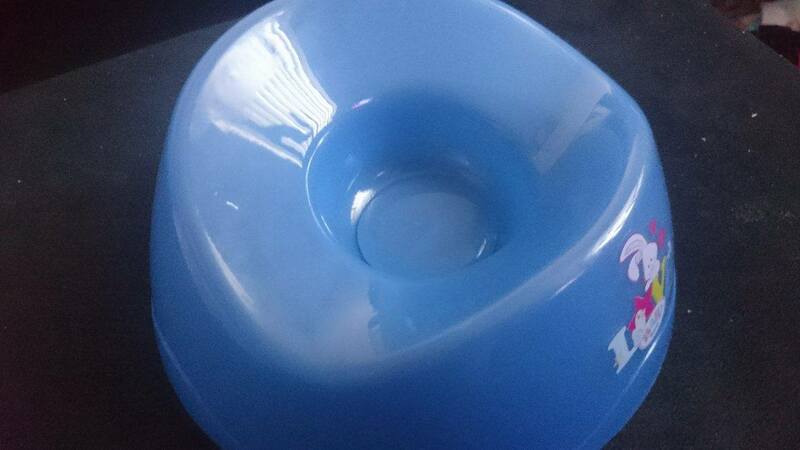 For using the potty, C placed him on it with his legs bent, in the sitting position. 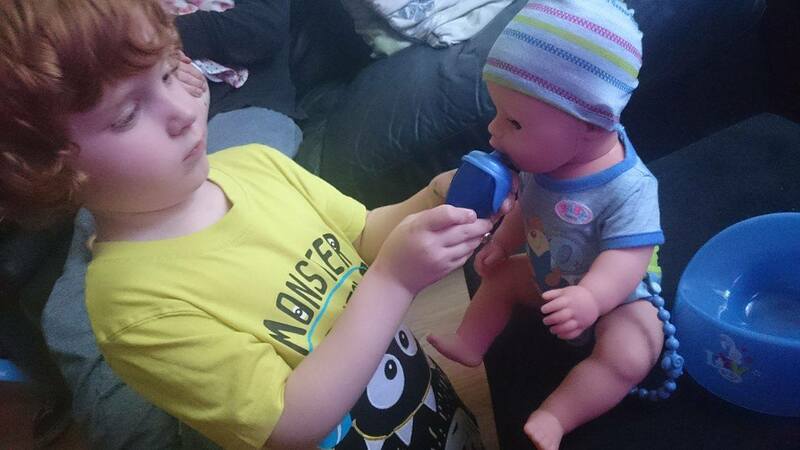 Getting the doll to go is easy, you just need to press and hold his bellybutton. You will hear a click which switches from peeing to pooping mode. C has only been potty trained himself since March and think he's a proper adult now so he thought it was so much fun teaching his baby to use the potty. The next thing that we tried was getting the baby to cry but unfortunately we couldn't master this one. I followed the instructions which said to feed the baby water then squeeze its right arm several time. Every time we've tried this, the baby just wets itself and I cannot for the life of me figure out where we are going wrong. 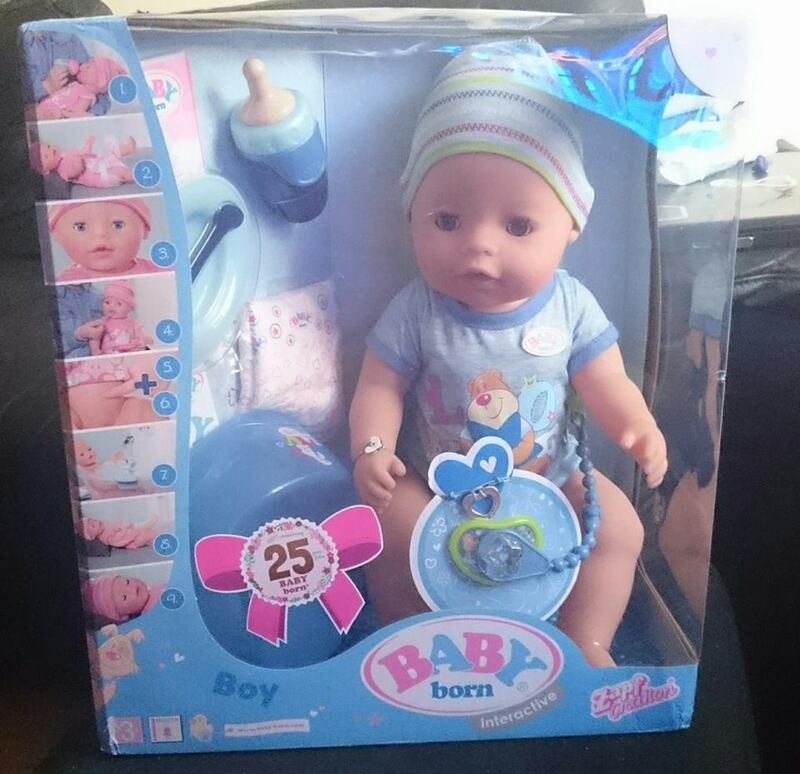 If you own this doll, I'd love to know if you've got it working and how. C's absolute favourite thing is feeding the baby porridge. 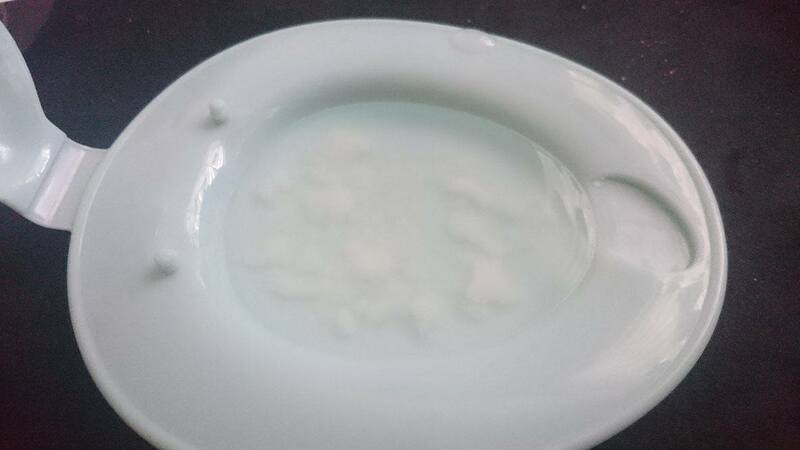 You need to fill the bowl with water, up to the fill line, and mix in the sachet. Keep stirring until the lumps have gone. This took quite a while for us and it didn't really thicken a lot. At first I thought I'd maybe put too much water in but I followed the instructions to a T. This didn't put C off. He scooped up a little, fed his baby and his little smile was adorable. 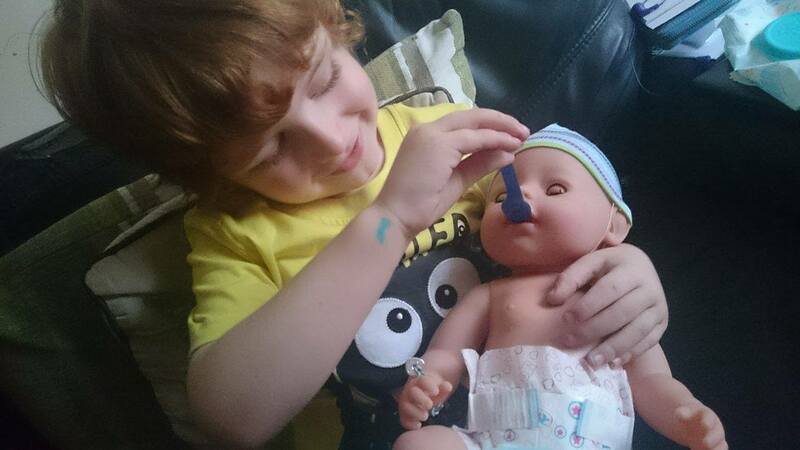 He's really enjoying changing his nappy, giving him his dummy (the dummy clip doesn't stay attached to the dummy which can be a little annoying, I'm worried we'll lose it) and just looking after him in general. The doll wears a little heart bracelet and I thought including one for your child to wear is such a cute idea. I love the birth certificate too so your little one can name their baby and keep their "birth" details safe. 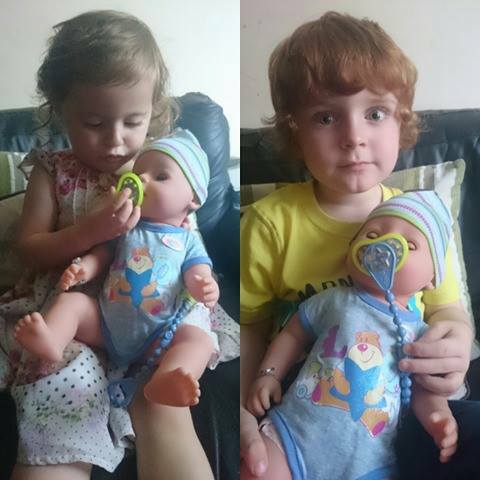 The Baby Born Brother Doll is suitable for children aged 3+, it retails at £44.99 and is available from all good retailers. You can keep up to date with all thing Zapf Creation on Facebook and Twitter.